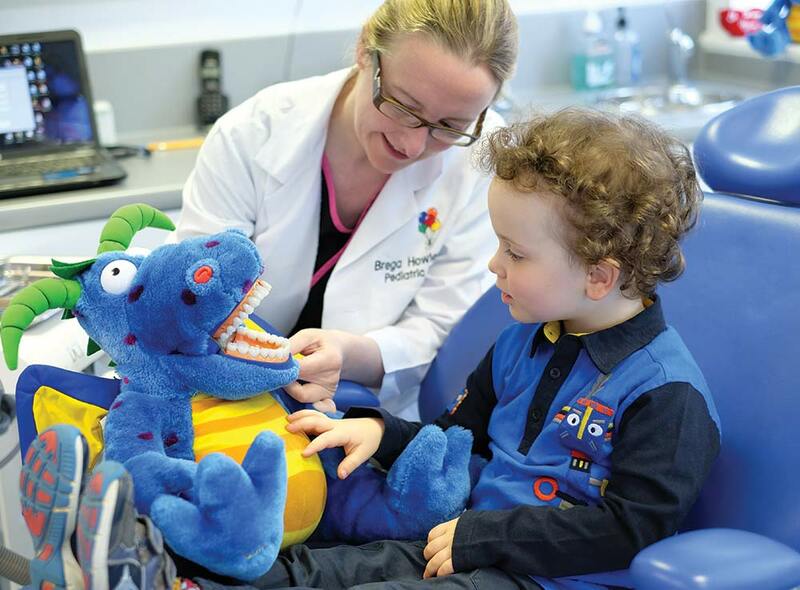 Dentistry for Kids is located on the Clybaun Road in Galway city. Click here for map location. At Dentistry for Kids, our goal is to provide every child with excellent dental treatment and the education needed to develop a beautiful, healthy smile and a positive attitude towards dental care. Our modern, seaside-themed practice is designed to provide a comfortable and welcoming environment where your child can enjoy and even look forward to going to the dentist! Every aspect of our unique practice is designed to provide a safe and pleasant dental experience for your child. Bringing your child to a paediatric dentist ensures the highest quality of children’s dental care from infancy to adolescence. Paediatric dentists are specially trained in advanced treatment techniques and child behaviour management to help treat anxious children; children with special health needs and to help give every child a happy dental experience. Our staff are all experienced working with children. We have the facility, on-site, to provide Nitrous Oxide “laughing gas”, if needed, to help children respond positively to dental treatment. We have the option to provide dental treatment under general anaesthetic for the treatment of very young children with extensive dental treatment needs or for those who are unable to co-operate in the dental surgery. At Dentistry for Kids we use digital x-rays. Digital x-rays reduce radiation up to 80%* compared to the already low exposure of traditional dental x-rays. For your convenience, we provide ample free parking right outside our door. The practice is wheelchair accessible.